I love this ad SO MUCH. Two years ago I saw it in a magazine and tore it out. 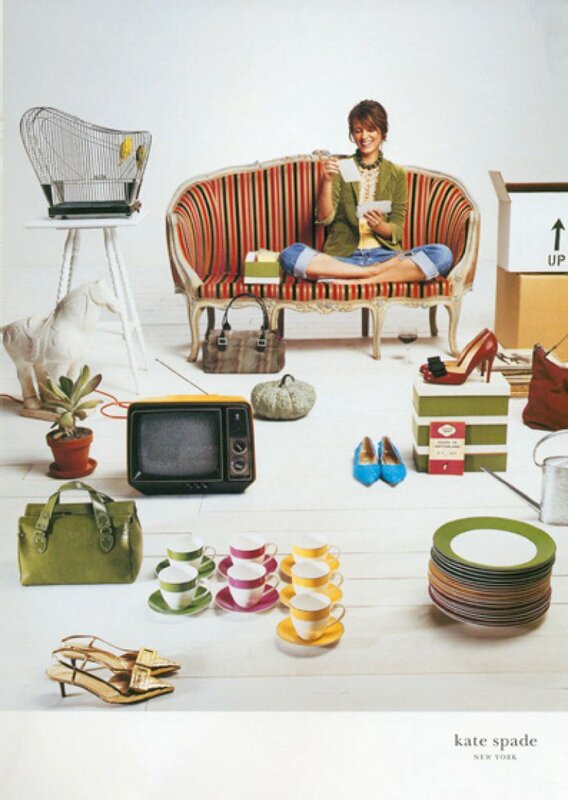 I always thought Kate Spade had nice things but when I saw this ad I was so inspired by the pretty couch, her clothes, her necklace, the birdcage, the teacups, and the shoes! After that I pretty much became a die hard Kate Spade fan. i love these too…the styling and art direction is just great!